Global Rhythms: A New Live Music Series! Take a journey around the world through music! From Latin rhythms and European folk melodies to African drumming, the Crocker's new Global Rhythms music series will have you dancing in your seat as you experience infectious beats and soulful melodies performed by acclaimed musicians from around the world. Singer, songwriter, and producer Quique Escamilla is fast becoming a star in Canada, where he won the 2015 Juno Award for World Music Album of the Year. Fusing musical traditions of his homeland (Chiapas, Mexico) with the modern styles of rock, ska, reggae, cumbia, and bolero, Quique’s passionate vocals, powerful messages, and dynamic performances connect and inspire audiences worldwide. Legendary Nigerian bassist and bandleader Babá Ken – who has performed with such luminaries as Afrobeat creator FelaKuti and King Sunny Adé, and headlined the Lincoln Center, The Fillmore, and Yoshi’s – will be joined by his band for a night of joyful music and infectious African beats. 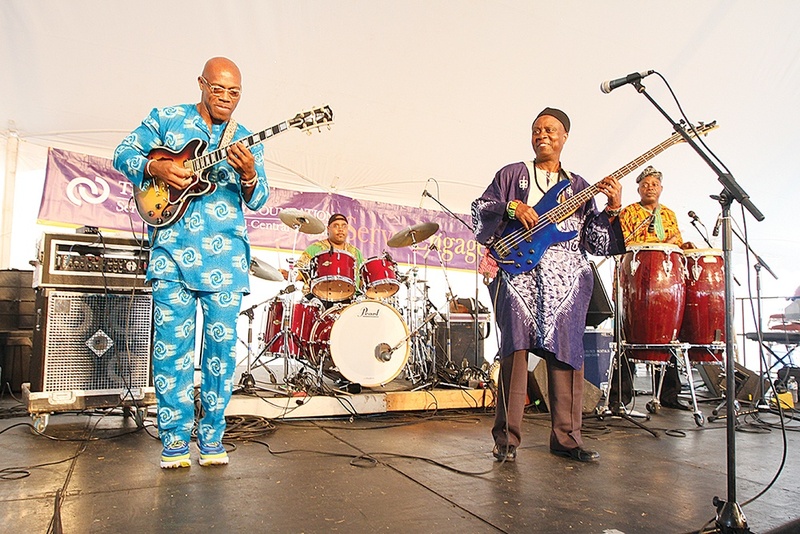 Playing a variety of hand percussions as well as acoustic guitar with voices in harmony, Babá Ken Okulolo & The Nigerian Brothers will perform spirit-soaring music from their homeland. Combining the rhythms of India and Mexico with European folk and American jazz, QuartetoNuevo creates a vibrant sound all its own. Featuring four master instrumentalists – saxophonist/flutist Damon Zick, cellist Jacob Szekely, guitarist Kenton Youngstrom, and hand percussionist Felipe Fraga – who have performed with everyone from The Boston Symphony Orchestra to Dave Brubeck and Jay-Z, – Quarteto Nuevo employs creative improvisation to create a new concert for every performance.